Wedding bells are in the air! It has been a year since we fell in love with Travis & Abby, and today we finally get to celebrate their marriage with A Beautiful Wedding. In honor of pub day, we want to offer you a very special wedding giveaway. 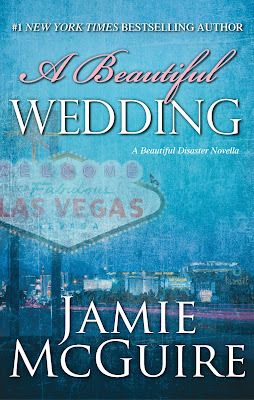 One winner will receive a copy of A Beautiful Wedding (Something Blue), a limited-edition framed version of the Trav+Pidge 4-ever picture, and one free entry into our Beautiful Sweepstakes for a chance to win a trip for 2 to Vegas! Here’s is what you have to do: Like or share the image above or use the #beautifulwedding on Instagram, Twitter and/or Facebook to enter. So if you want to tweet about it, just enter it on the rafflecopter and copy and paste the link (I will check each entry to make sure you tweeted it) If you want to do it on Instagram and Instagram, just leave me your IG name to verify! If you do both, more points and better chances of winning. Don't forget to use #beautifulwedding. Do it everyday and get more entries! This is a great prize so lets spread the word!!! 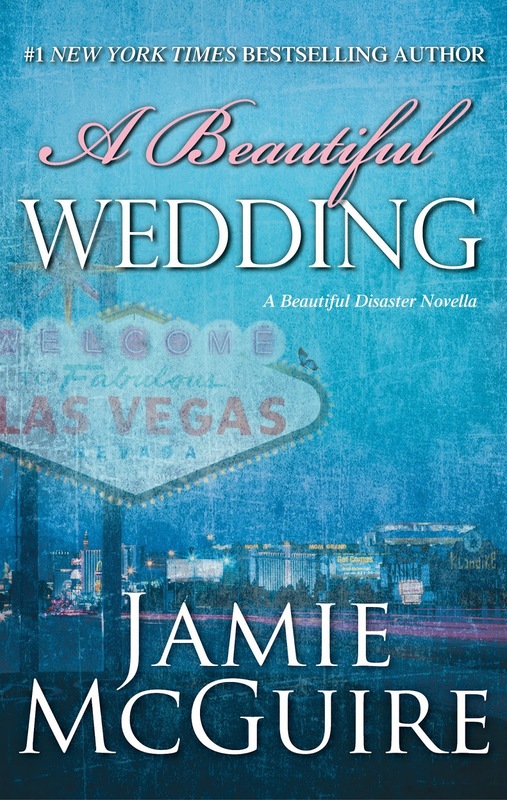 Also, don't forget to check out SOMETHING OLD , SOMETHING NEW, SOMETHING BORROWED post including another fabulous giveaway! Jamie McGuire is the New York Times bestselling author of five other novels: Walking Disaster, Beautiful Disaster, Providence, Requiem, and Eden. She and her husband, Jeff, live with their children just outside Enid, Oklahoma, with three dogs, six horses, and a cat named Rooster. Please visit her at JamieMcGuire.com. To Abby and Travis: May your love for each other grow over the years you have together. May you cherish each other and be each other's strength when times are tough. I wish you nothing but the best Travis and Abby! Congrats! Woo hoo! Good luck everyone! I loved the first books of this couple! I can't wait to hear about their beautiful wedding! Congrats to the happy couple! They're so adorable. Travis is awesome.